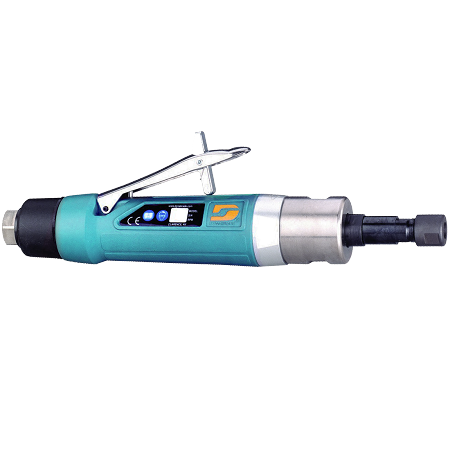 Dynabrade high quality air powered 1 hp straight-line die grinder is perfect for heavy duty applications. Slow speed single planetary geared die grinder. 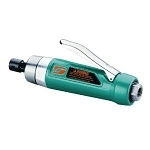 Perfect for attaching carbide burrs, rotary files, mounted points, wheels & discs. 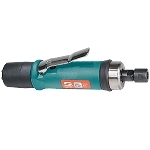 If you are looking for a light to medium duty die grinder check out the .4 hp, .5 hp and .7 hp models. Extended muffler design reduces sound level to 80 dB. Includes 1/4 in. 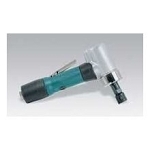 Collet Insert. Governor-controlled to maintain RPM under heavy load. Safety lock lever is standard on all models. Lightweight thermal-insulated housing reduces cold air transmission and vibration to operator.